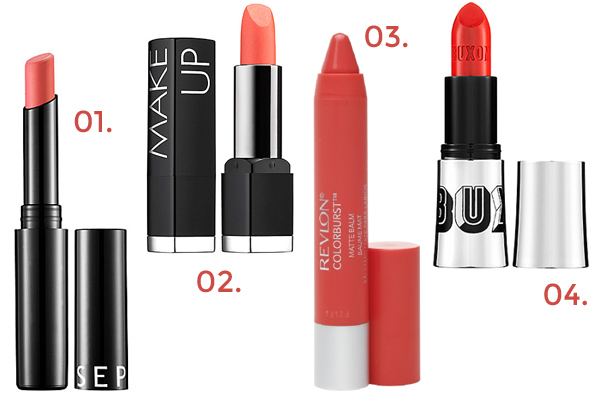 Coral lips have been trending for a while now, but I’m still on the hunt for the perfect shade. I remember picking out my first red lipstick and feeling rather apprehensive, but eventually I came around and I now have a better idea of what suits me. I’d like to branch out from red and I think that coral is a great choice for summer. I love how vibrant coral lips look on other people, but of course you have to pick the shade that suits you best. I think I’m looking for something that leans toward the red spectrum and definitely something deeper in color, rather than lighter. I need your help- let me know if you can think of any coral lip colors that might suit me! Tell me: Would you wear a coral lip?